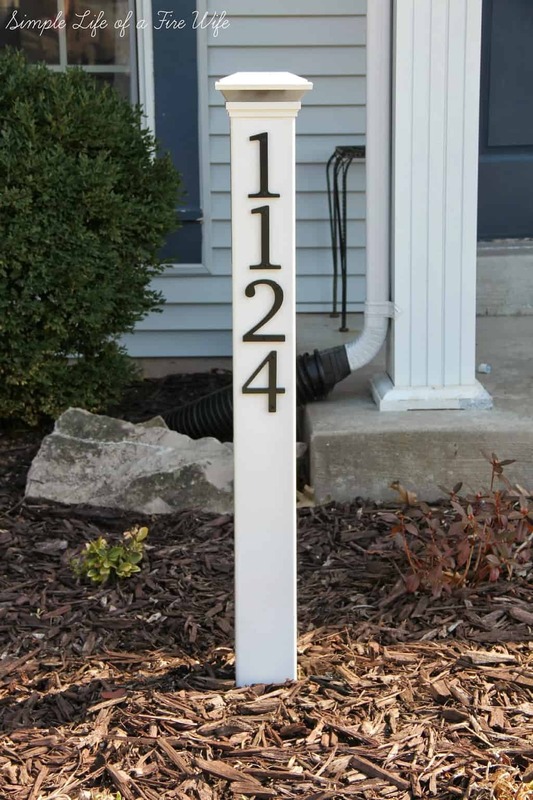 If you are looking for an inexpensive way to improve the look of your curb appeal, updating your house numbers is a great start. 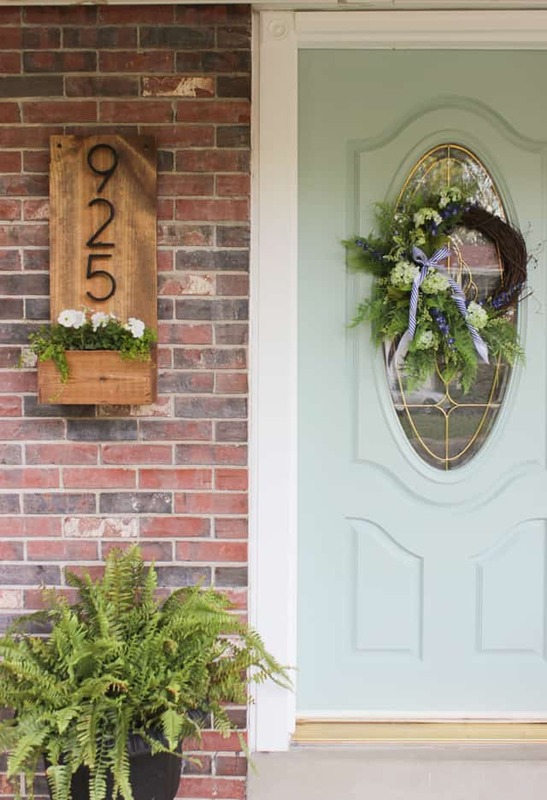 These beautiful ideas are sure to inspire you to get started. Sew at Home Mummy purchased a mid-century home and wanted to make some house numbers that were modern. 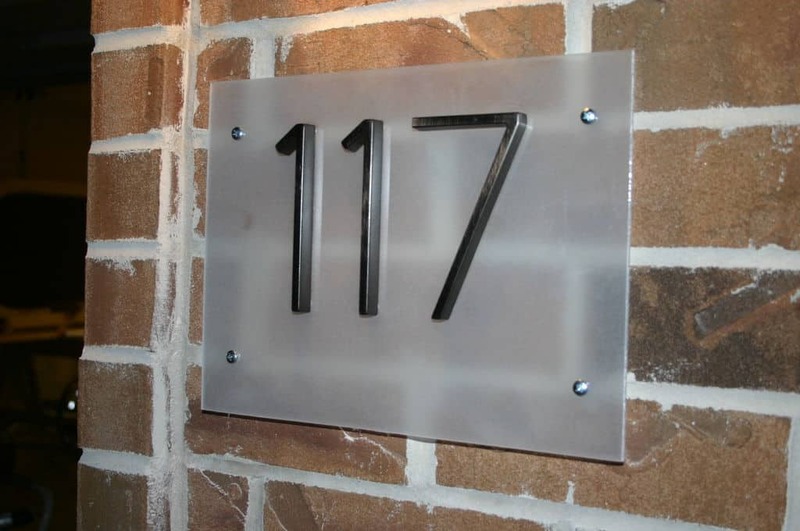 Born was the idea of these modern DIY floating house numbers. See how they did it. 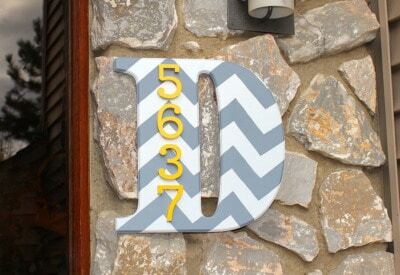 A Beautiful Mess wanted to have house numbers that you could easily see from the street. They nailed it with these modern and stylish numbers. 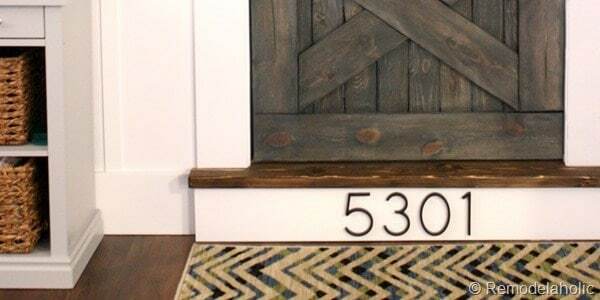 Make your own DIY house numbers. 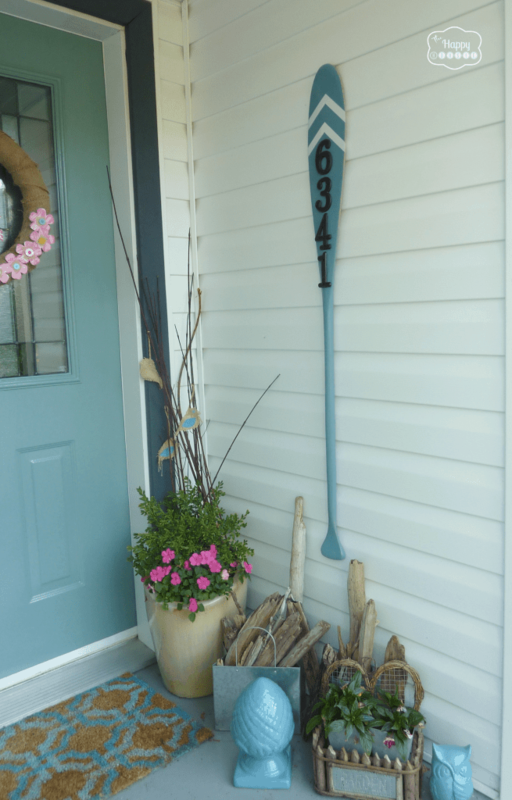 Shades of Blue Interiors made a beautiful house number sign with planter box attached. It looks fantastic and really adds to the style of the exterior of the home. See the step-by-step guide. Crafts Unleashed created a monogrammed wooden house sign that looks fantastic. I love the bright blue with the black and white polka dots. See the complete tutorial. The Happy Housie shares how they were inspired to update an old ore that they purchased at a thrift store. I love that the repurposed it in such an awesome way. Check it out. 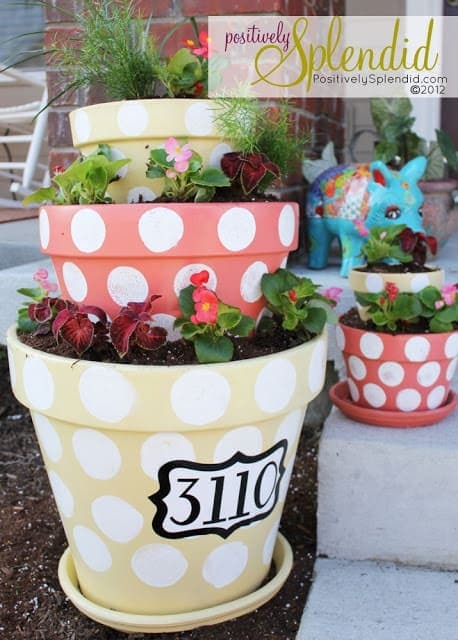 Amy over at Positively Splendid transformed some old terracotta planters into a gorgeous house number planter. The color of the pots with the planted flowers is beautiful. Try it for yourself. 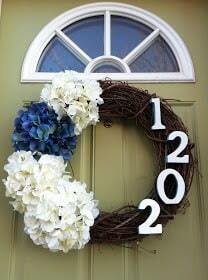 Taylor Made shares several options on how to make your own wreath with house numbers. The options are endless and look so nice! Give it a try. 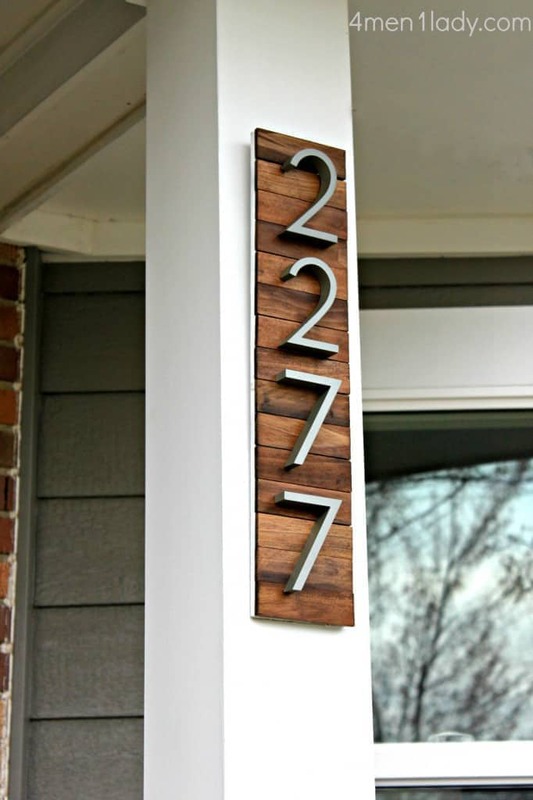 Instructables show us how to make these modern house numbers in just 5 steps. I love the look of the industrial style and with the large numbers they are easy to see from the street. Check out how they did it. 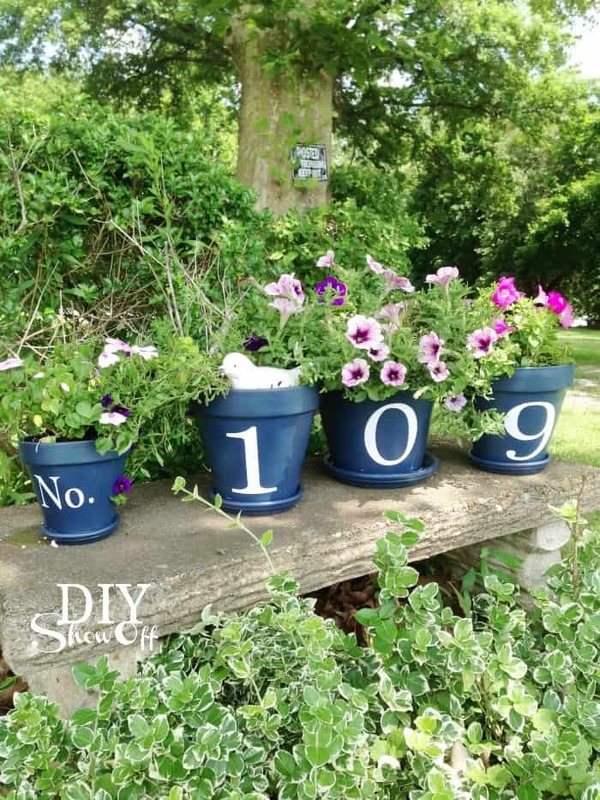 DIY Showoff was inspired to create these beautiful address planters so visitors would have an easier time finding their home. They look awesome! How they did it. Jennifer at Paint Yourself A Smile has been working on several curb appeal projects. 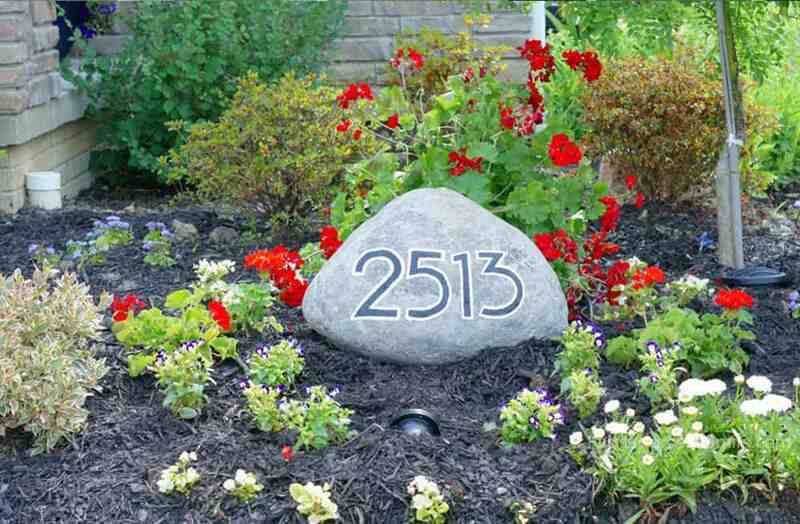 She decided to make her house numbers more visible with this creative rock. Make your own. Shanty 2 Chic wanted a fun way to display house numbers, so they crafted this beauty. 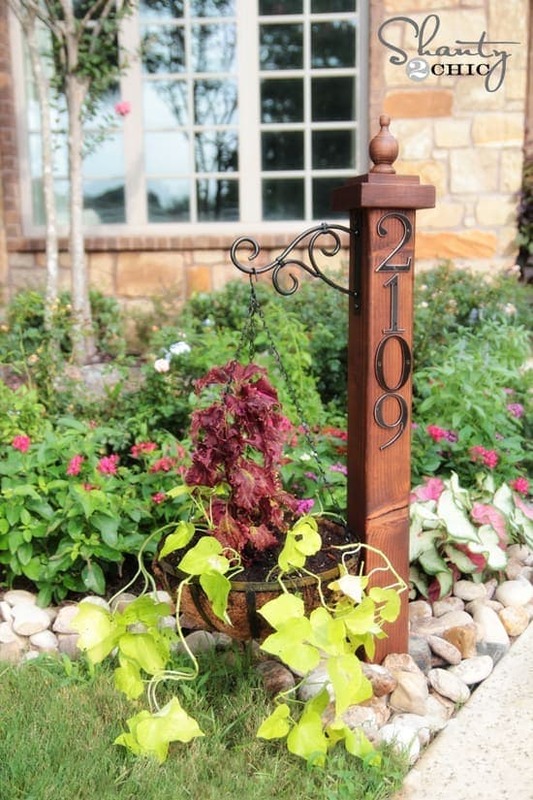 I love the post with planter. It adds so much pizzazz to it. See how they did it. 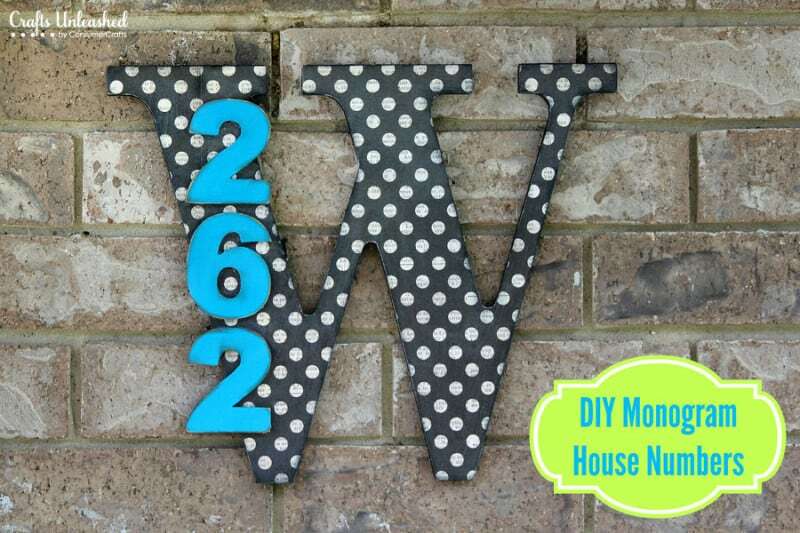 Home Stories A to Z shares how she made this beautiful address sign with paint sticks. The bright colors she chose really updates the curb appeal. Give it a try yourself. Jen at Tatertots & Jello has a love for all things nautical themed. 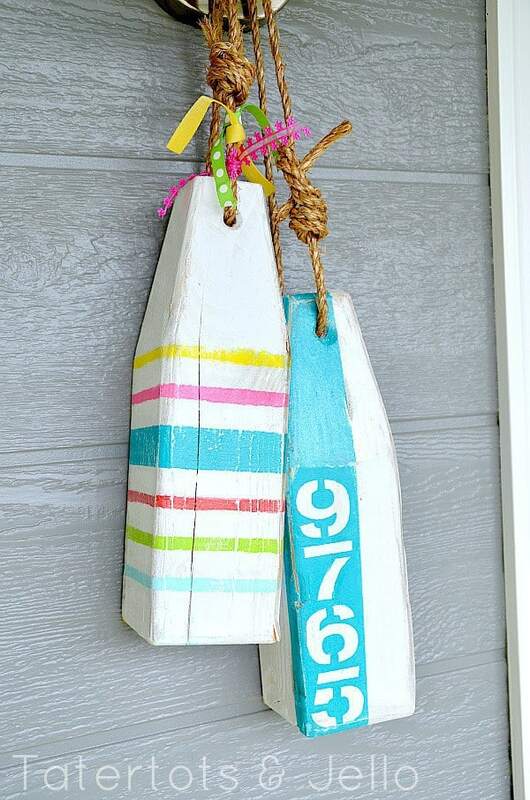 So she created these nautical themed bouy’s for her address number sign. They turned out awesome! DIY here. 4 Men 1 Lady was inspired to make a modern style industrial address sign. They created this with some paint sticks, stain and a few other items. The industrial style looks so awesome! See how they did it. 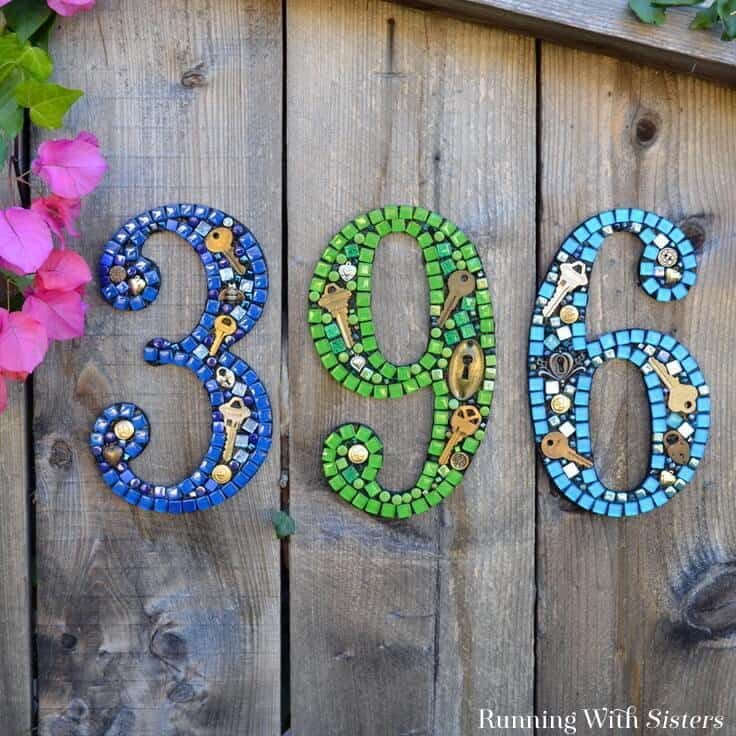 Over at Running With Sisters put together an awesome mosaic house number sign. They used mini tiles, keys, charms and anything else they thought would look good to create these numbers. Give it a try. DIY Candy had a family friend that was giving away wooden slices, so they grabbed some to make various projects with. They made this unique wooden address plaque. See how. 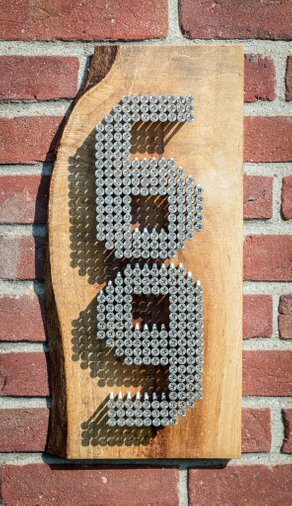 Craft Cuts shares how they created this awesome monogrammed address sign. They made the chevron pattern look so easy. See full tutorial here. At The Picket Fence wanted to make a fun project with pumpkins. 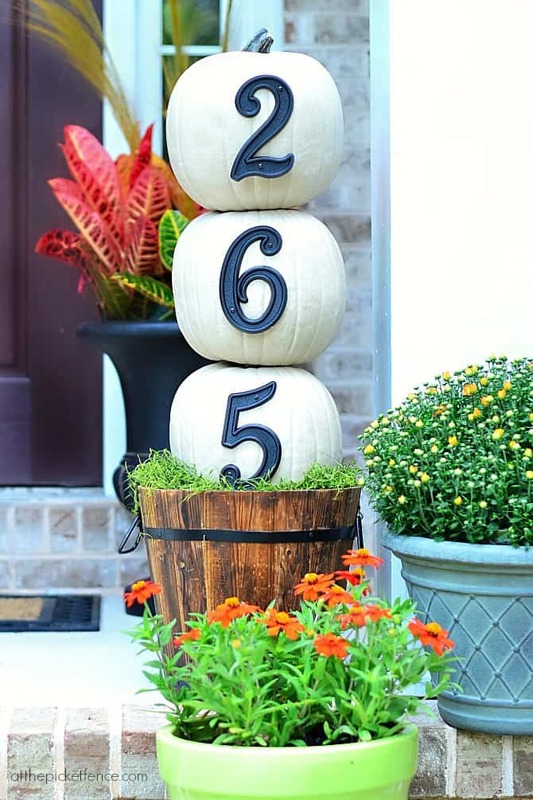 They did an amazing job with this festive pumpkin house address topiary. Check it out. 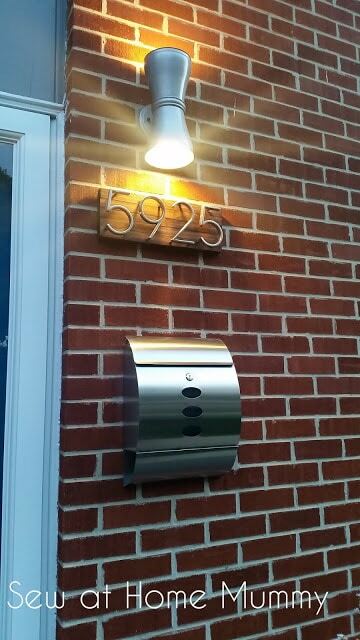 Over at Instructables they were buying a new house and saw a few cool address signs. They decided to make this awesome sign that has stainless steel and a modern look. Tutorial here. Remodelaholic wanted to make something to go with the barn wood door. I love the style of the numbers on the step in combination with the door. 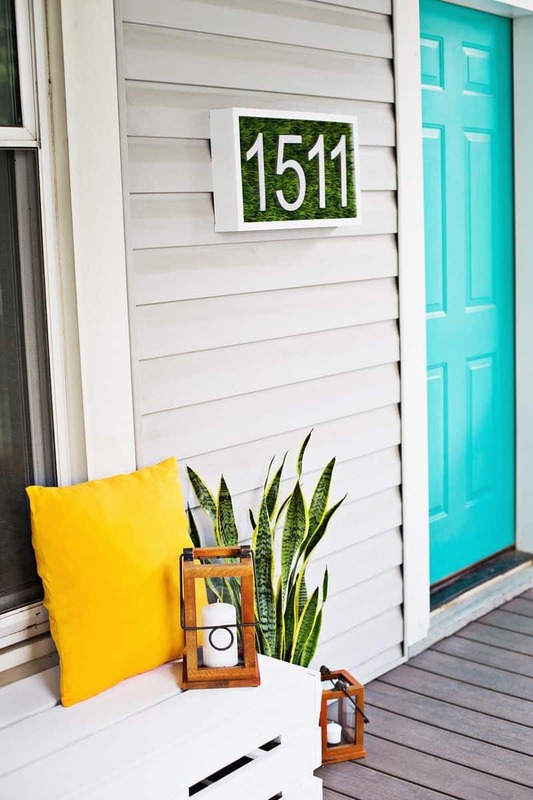 Make your own awesome stair address. Art is Beauty created a work of art with this old milk can. 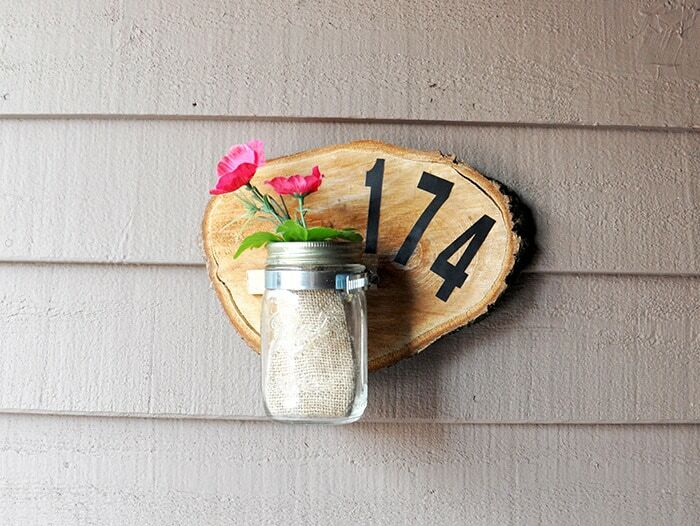 She turned it into a beautiful and rustic house address display. See how here. 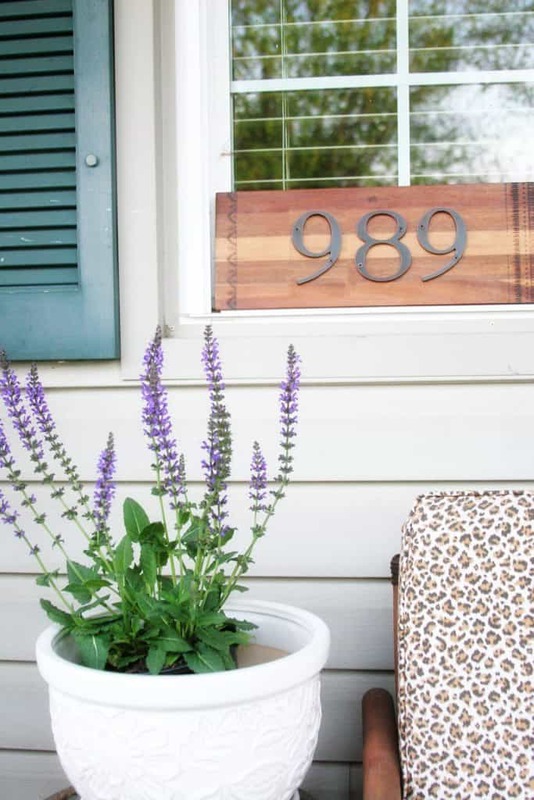 Craftivity Designs transformed a cutting board into a beautiful address sign. It turned out perfect and adds so much curb appeal. Give it a try. 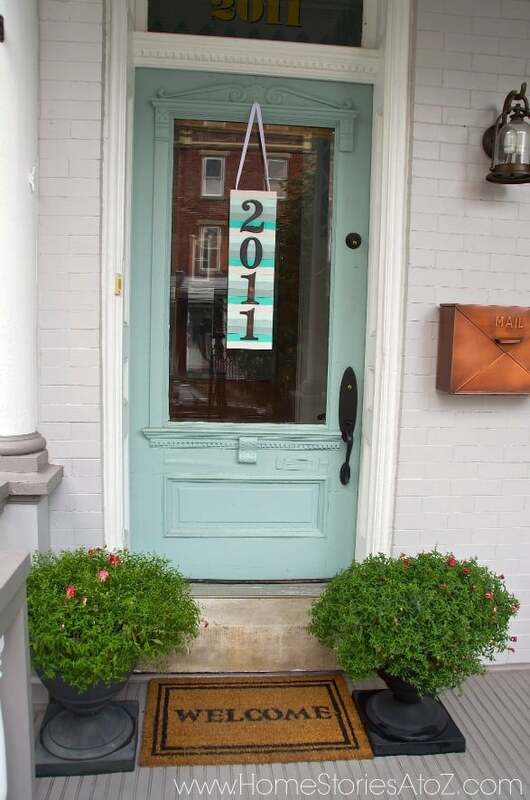 Simple LIfe of a Fire Wife realizes the importance of having visible house numbers. They crafted this address post for their home. It turned out great and because of the large numbers you can easily see it. How they did it. 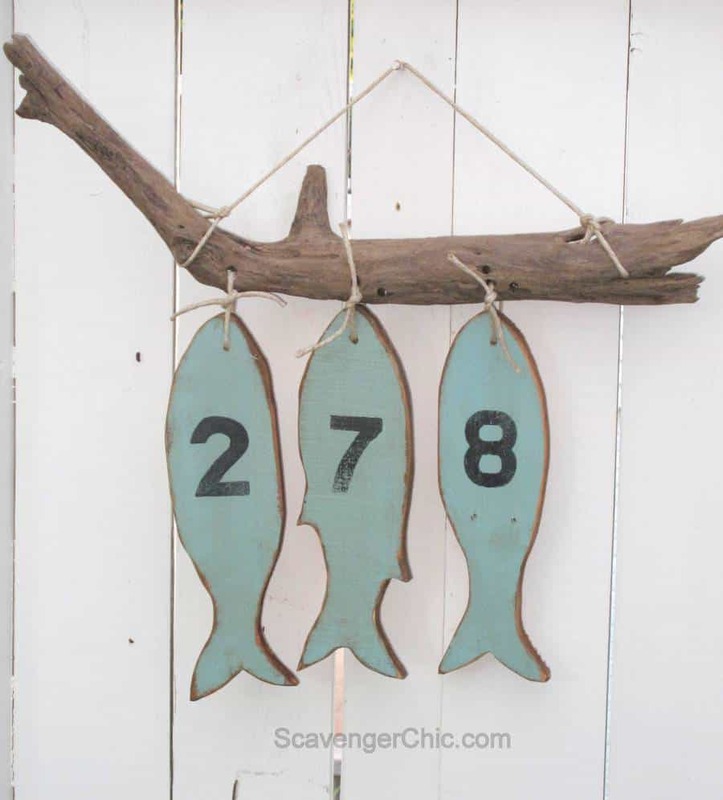 Scavenger Chic shares how they created these DIY vintage house numbers shaped like fish. They are so cool and look like they belong in a cabin or lodge. Check them out. 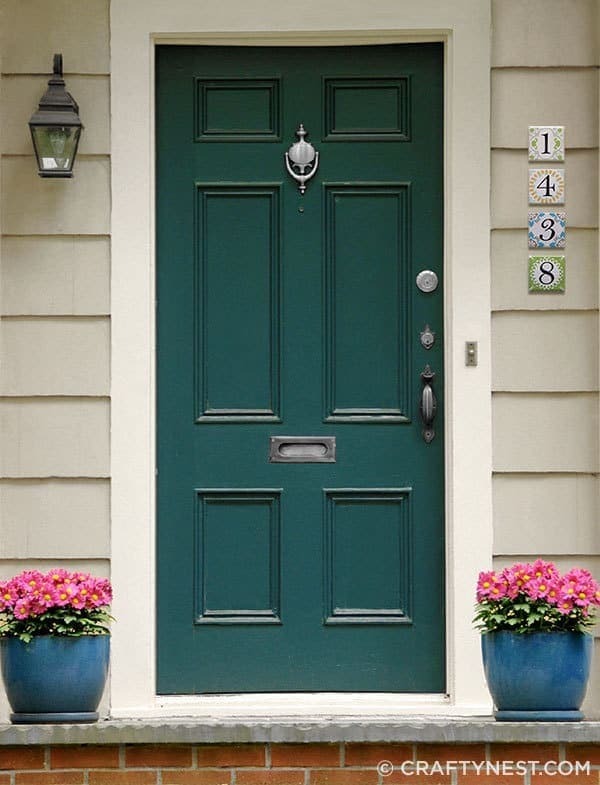 Over at Crafty Nest transformed some plain tile into some fun and gorgeous house address numbers. They are so unique and creative! Try for yourself. There are some super fun and creative ideas out there. 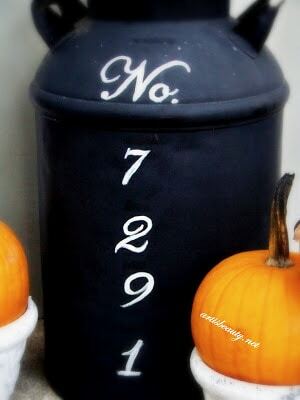 I hope found some useful tips and ideas so you can do a DIY house number project.